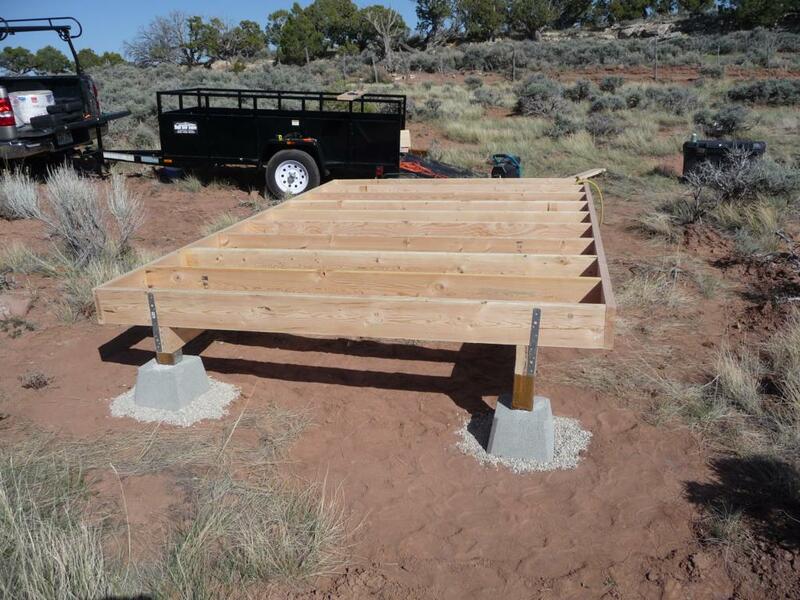 For the foundation of the mini-cabin, I used deck piers sitting on gravel filled holes. The holes are only about six inches deep. Six inches is well above the frost line so this was a big shortcut but if the structure starts to move due to frost heave I figured I could just jack it up and make it level again. 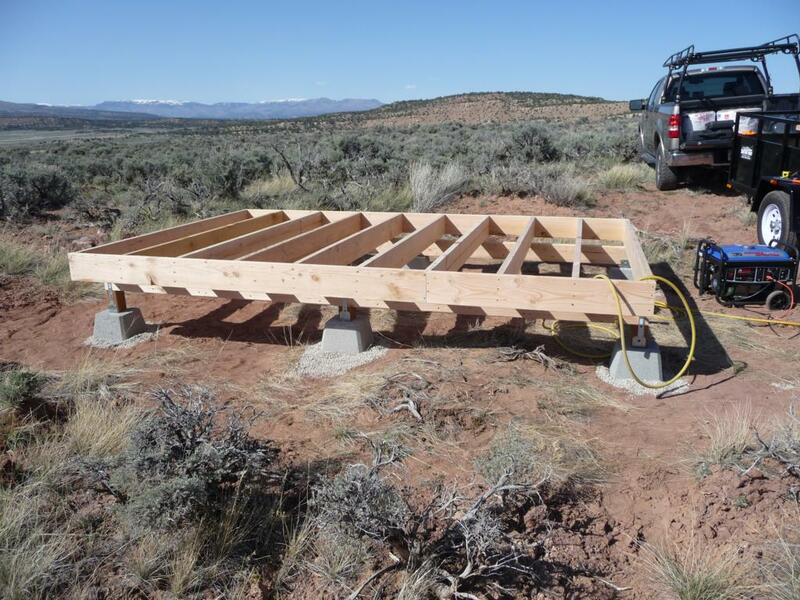 I built two 12' beams, each beam consisting of two 2x6's with a strip of 1/2" plywood sandwiched between the 2x6's, screwed and glued together. 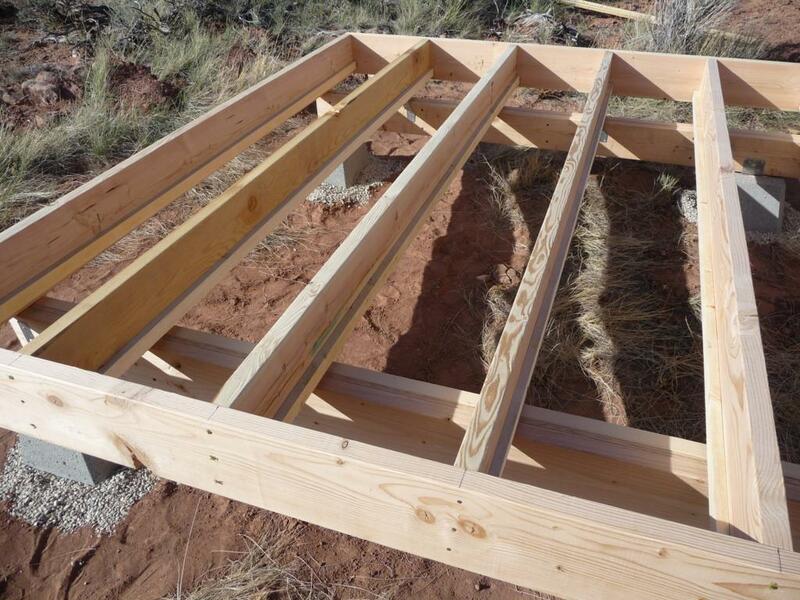 The resulting beams are 3-1/2" wide allowing them to fit the brackets of the deck piers. 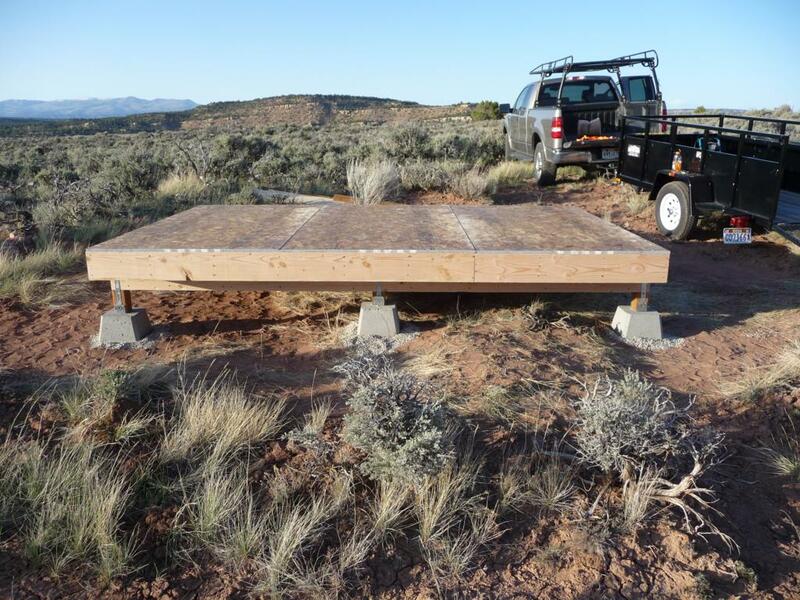 I used three deck piers per beam and the beams are placed six feet apart. 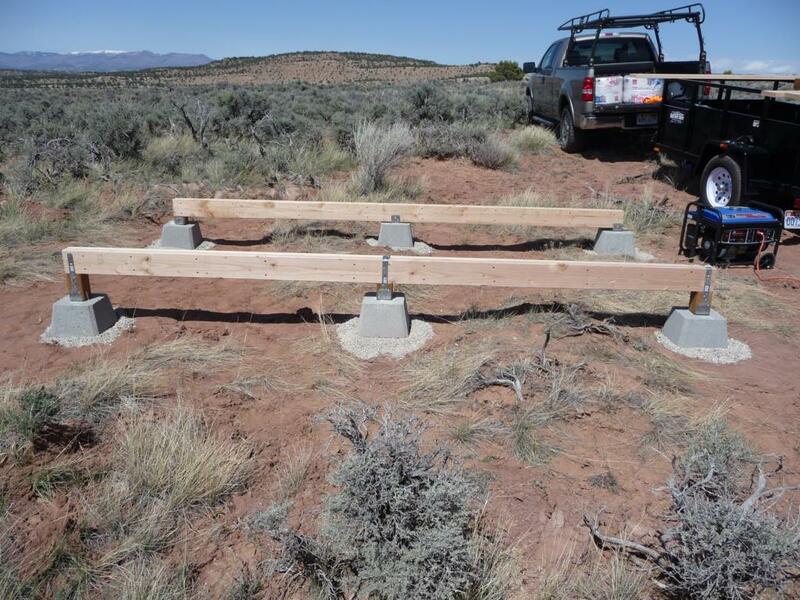 To level the beams, I used treated 4x4 posts where necessary. 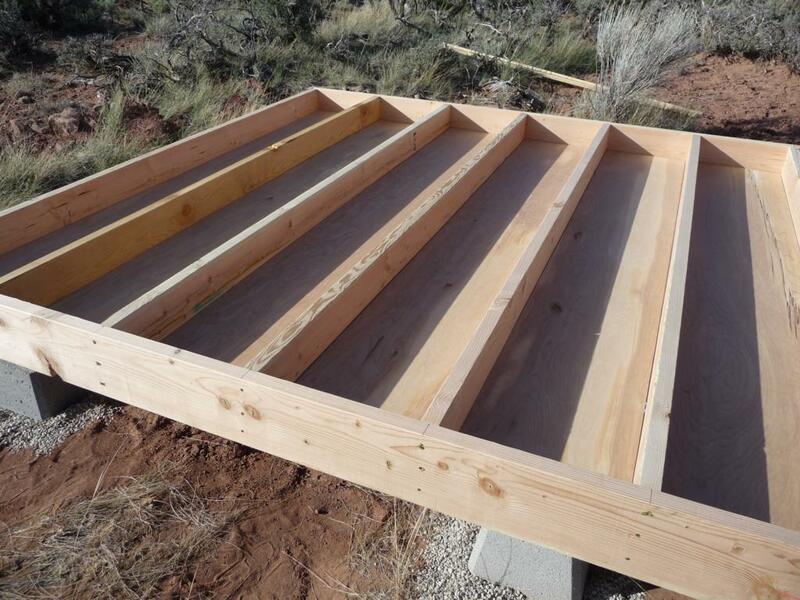 For the floor, I used 2x8 joists on 16" centers. 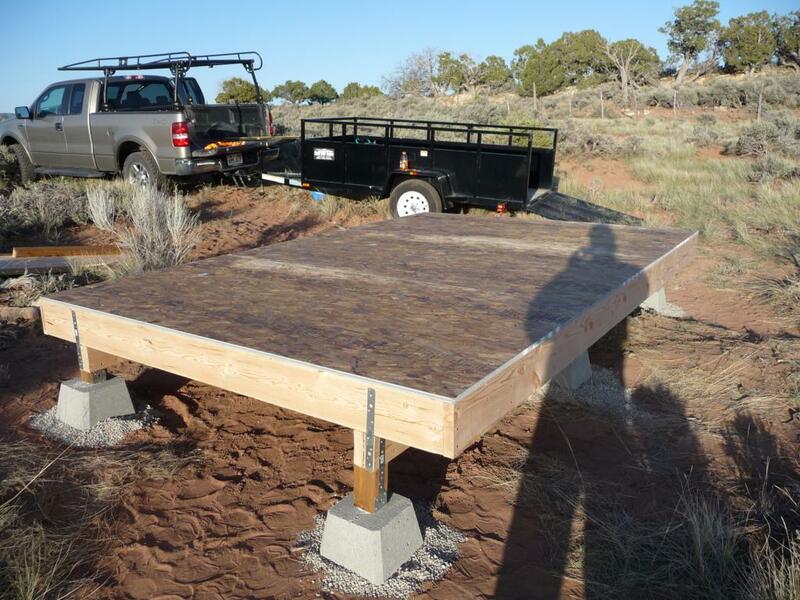 The floor is 12' by 8' so the floor overhangs the beams by roughly a foot on each side. 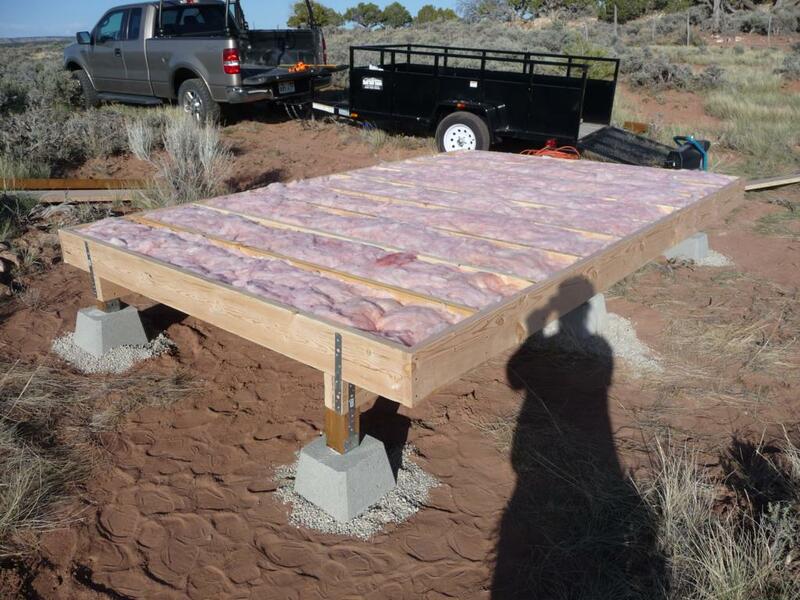 I added insulation to the floor by first nailing 1x2's along the bottom of each joist and then laying a piece of 1/4" hardboard in the joist spaces, resting on the 1x2 strips. This forms a bed for the insulation to rest on. Adding the insulation was then as simple as laying it into the joist spaces. I used 5-1/2" thick fiberglass insulation. Finally, three sheets of 3/4" tongue and groove OSB are nailed onto the floor joists. The resulting floor turned out perfectly flat and level and was very solid to walk around on.